Arthur F. Palmer, 84, of Brainard, died Tuesday, August 7, 2018, at his home near Brainard. Funeral Service Saturday, August 11, 2018 10:00 A.M.
Arthur F. Palmer died Tuesday, Aug. 7, 2018 while working outside at his farm home east of Brainard. He was 84. Arthur Franklin Palmer was born about four miles west of Davey at the farm home of his parents, Arthur Franklin and Abbie (Housel) Palmer. He attended country schools near Raymond and then in Raymond until transferring to Ceresco before his senior year in high school. He graduated from Ceresco High School in 1951. On Feb. 19, 1954, he married Mary L. Otto at the Lutheran church in Ceresco. He served in the U.S. Army about two years beginning in 1956, stationed first at Fort Smith, Ark. and later in Japan. When he returned, the couple lived near Ceresco until 1963, when Art, Mary and their family (which eventually included four daughters) moved to a farm four miles east of Brainard. Previously, Art worked in Lincoln as a truck driver for Winter Bros. and then farmed near Ceresco. When the family moved to Brainard, Art continued to farm but also took up custom sheep shearing and traveled through Kansas and Nebraska, sometimes shearing up to 10,000 sheep per year. Art loved the independence of running his own sheep shearing business and all the people he met through that profession. He also served as an agent for wool companies and often bought the wool he sheared, plus wool from others, accumulating up to 20,000 pounds of wool per year before it was shipped off—at first to North Central Wool Co. in Minneapolis, Minn. and then Groenewold Fur & Wool Co. in Forreston, Ill. He received his last commission check for buying wool about a week before his death. Art loved his land. He was renting near Ceresco until he saw an ad for a farm for sale east of Brainard and eventually bought it, remodeling and adding on to a home located there. Along the way, he started collecting tractors—both fullsize and scale models. He and Mary traveled in their mobile home, visiting the Smoky Mountains, Yellowstone and many other locations. They enjoyed attending auctions together and built a variety of collections. They also enjoyed square dancing and made a number of lifelong friends through that hobby. 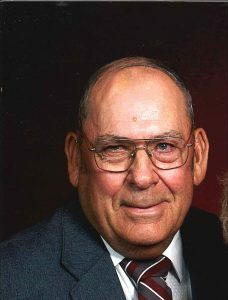 He was a longtime member of the Brainard United Methodist Church and served on the church board for a number of years. He also served on the Oak Creek Township board. When he was 40 years old, Art was given a diagnosis of inoperable stomach cancer and not much hope for surviving by his medical team. However, he went through chemotherapy and radiation (both relatively new at that time) and did survive not only that cancer, but later a brain tumor and prostate cancer. He did not easily give up. Survivors include three daughters: Debbie (Kevin) Behne of Brainard, Becky (Mark) Weber of Adams and Mary Lou (Greg) Henn of Lincoln; son-in-law, Kevin Davis of Wood River; 10 grandchildren: Amy (Robert) Rezac, Andy (Crystal) Behne and Jeremy (Danielle) Behne, Max (Katy) Weber and Katherine Weber, Tim Davis and fiance Kassandra Connell, Eric (Cortney) Davis and Abbie (Matt) Wecker, Jacob and Lydia Henn; eight great grandchildren: Alex, Jadon and Becca Rezac, Maisie Wecker, Jennings and Sullivan Davis, Henry and Hazel Behne; two sisters: Carol Helsing of Randolph and Harriet Ruebsamen of Lincoln, and three brothers: Owen (Billie) Palmer of Hazel Green, Ala., Gary Palmer of Omaha and Jim (Pam) Palmer of Lincoln; two sisters-in-law: Darleen Richard and Sharon (Dan) Duffy of Lincoln and two brothers-in-law: Glen (Lu) Otto and Ray (Jane) Otto of Ceresco. He was preceded in death by his wife, Mary; a daughter, Karen; two sisters, Marla and Diane; and his parents.